Over the past two seasons at ages 34 and 35, Chase Utley has effectively managed the bad knees that threatened to end his tremendous career prematurely. Moving into 2015 at age 36, there remains an issue that he will find even more difficult to manage, a looming showdown with Father Time. After losing the first month and a half of the 2011 season, and then almost the entirety of the first three months in 2012, Utley found the proper balance and combination of rest, exercise, and therapy to stay on the field in both 2013 and 2014. In 2013, Chase played in 131 games, the most he managed since 2009. He topped that a year ago when he played an astounding 155 games, the 4th highest total of his now 12-year career. In 2013, Utley hit .284 with 18 homers and 64 RBI. Last season he hit .270 with 11 homers and 78 RBI, and returned to the All-Star Game for the first time since 2010. Today, on the eve of the official reporting date for the 2015 Philadelphia Phillies full squad, Utley addressed reporters in a continuing series of press conferences by the team's veteran core. Much as with the pitchers who preceded him in recent days, Chase seemed upbeat and unwilling to concede a season that pundits, fans, and even team management believes is lost before it has even begun. 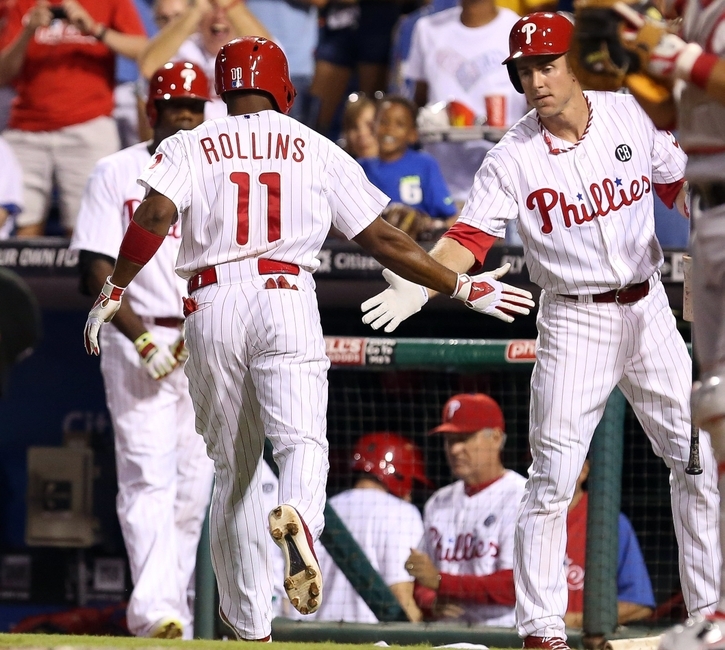 The Phillies de facto leader now that his longtime doubleplay partner Jimmy Rollins has moved out to their native California, addressed the loss of the franchise icon: "He taught me a lot, he helped me out. I thought we made each other better." As with those previous press conferences, the issue of a potential trade during the season was introduced. 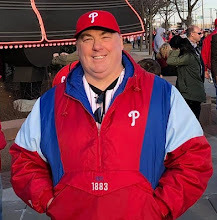 And as with the pitchers, Chase said that he would deal with any situation if such actually materialized, but for now was focused only on helping the 2015 Phillies to overcome the naysayers. Utley then went on to mimic the positivity of those pitchers with his various comments in the presser: “I think we have a much better team than people think...we have two number one guys at the top of our rotation...we all know that we have a very good bullpen. We’re going to filter in some younger guys offensively, give them a chance to play a little bit more, see what they can do....I’m not counting ourselves out whatsoever...I know the veterans in there haven’t given up." The 2nd baseman, who has played for no other team in his big league career, remains a fan and organizational favorite. In fact, right now he is easily the most popular player on the Phillies roster. “I really enjoy playing with this organization, they’ve done a lot for me, personally...I want nothing more than to play for this organization for as long as I can." This 2015 season is potentially his final one in a Phillies uniform. It is the last guaranteed season in his contract. He has $15 million vesting options for each of the next 3 seasons as well, but those will each only kick in with his reaching 500 plate appearances in the preceding season. Reaching those 500 plate appearances and guaranteeing another season, and another $15 million contract, will get increasingly harder as Father Time continues to battle the player christened "The Man" by the late beloved broadcaster Harry Kalas. Chase now begins moving into his upper-30's, a time when time runs out for almost all ball players. Phillies fans need to realize this, appreciating and enjoying every game that he is able to continue beating the clock. One of these seasons, maybe this coming season, the last of the sand will finally run out of his career hour-glass. One thing is certain: Chase Utley will not go down without a fight. Utley believes that the team can surprise. He believes that he, Ryan Howard, and the pitching staff still have some tricks up their sleeve, still can perform at a high level. Wouldn't it be wonderful if he is right, and all the pundits and critics wrong?